We need to know what's most important to us. Only by focusing and staying true to one's deepest values can a person live an authentic, fulfilling life. When I say this in my seminars, I am asked, "With so many competing priorities, how can I know what is most important to me?" 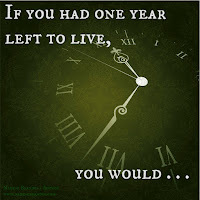 Luckily, there is a simple way: the Year Left to Live List. When people find out they have a limited length of time to live, as if by magic their priorities become strikingly clear. I had a client, Sarah, who found out she had an inoperable brain tumor. Her doctors told her she had about four to five relatively healthy months to live, followed by a couple more months of increasing dementia. Sarah had been a hard-driving career woman who had worked about sixty hours a week. Her dream, or so she thought, was to become a partner in her law firm. Yet, once she found out her time was limited, she dramatically changed what she spent her time on. She immediately quit her job, took a trip to Israel for a month, and then spend her few remaining months surrounded by family and friends. Unless you really know you only have a year to live, you're not going to be able to do what Sarah did. Nor is it what's called for. Yet, by writing down what you would do with a limited time, you can gain clarity regarding your true priorities. Once you're clear about what's important, you can more easily structure your time and your life in a way that leads to fulfillment. If, with a year to live, you would want to travel around the world, spend time with your friends and family, and go on a whitewater river adventure, then these things are what really call to you. Although you may not be able to travel the world while holding a job, you can go on little trips and have mini-adventures. Only by doing at least some of the activities you'd do with a year to live will you feel truly satisfied with your life. Most people make the mistake of continually putting off their dreams -- hoping to get to them when they're all caught up. Unfortunately, new things are always being added to our to-do list, and our dreams get crowded out of our schedule. Usually, there is a way to spend time doing meaningful activities without having to drastically alter our life. Spending quality time with friends and family, taking little trips, spending more time in spiritual pursuits can be integrated into even the busiest of lifestyles. It's all a matter of prioritizing what you really value, and then scheduling these important activities into your weekly life. With whom would you like to spend time? Where would you want to spend your time? What adventures would you like to experience? How would you be different in how you approached your life? What, if any, legacy or contribution would you like to leave, and to whom? 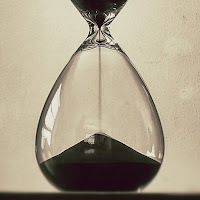 To what, if any, spiritual pursuit would you want to give time? This exercise only takes four minutes, yet it can provide you with a treasure of valuable information. Once you have your list in front of you, ask yourself, "How many of these activities am I currently pursuing in my life on a regular basis?" If you're doing a lot of them, congratulations! That means you are integrating what's important to you into your daily life. If, however, you notice that many of the items on your list have been neglected for weeks, months, or even years, then your need is to give more time to these activities. Perhaps you can take out your calendar right now and schedule a short trip you'd like to take, or call up an old friend you'd like to visit. It's critical that you do it now -- before all the other competing priorites of life manage to drown out your dreams. 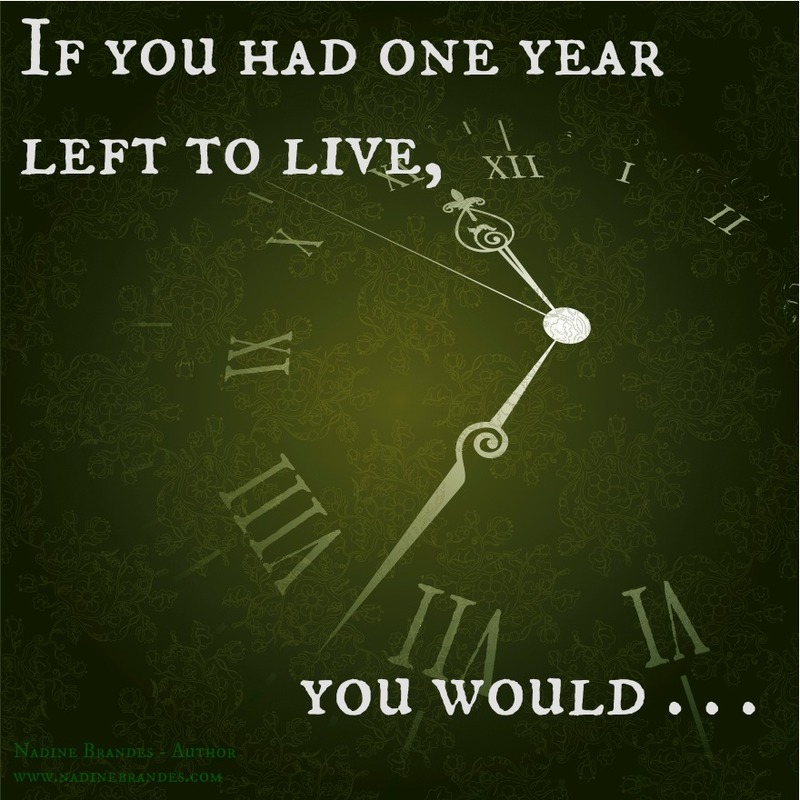 Who knows -- you may only have a year left to live. Or a month. Or less. However long you have, this list will help make this next year a time of depth and quality. Life is dangerous and fraught. Facing misfortune squarely works better than trying to escape it -- and facing it squarely requires cultivating patience. Once upon a time during China's Song dynasty (960-1279 BCE) there was a Zen master called Bird's Nest Roshi because he meditated in an eagle's nest at the top of a tree. This was quite a dangerous thing to do: one gust of wind, one sleepy moment, and he was done for. He became quite famous for this precarious practice. One day the poet Su Shih came to visit him and, standing on the ground far below the meditating master, asked what possessed him to live in such a dangerous manner. The roshi answered, "You call this dangerous? What you are doing is far more dangerous!" Living normally in the world, ignoring death, impermanence, and loss and suffering, as we all routinely do, as if this were a normal and a safe way to live, is actually much more dangerous than going out on a limb to meditate. Trying to avoid difficulty may be natural and understandable. It is also ineffective. Our efforts to protect ourselves from pain end up causing us deeper pain. Our attempts to hold on to what we have causes us to lose what we have. We can't keep the attractive object, and we can't avoid the unwanted object. Counterintuitive though it may be, trying to avoiding life's difficulties is actually a more dangerous way to live than facing misfortune squarely. Of course, when we can prevent difficulty, we do that. So, yes, we do reasonably try to protect our investments, get regular checkups, exercise, take care of our diet, get homeowner's insurance, and so on. It's the unnecessary and unhelpful underlying attitude of anxiety, fear, and narrow-mindedness that makes our lives unhappy, fearful, and small. 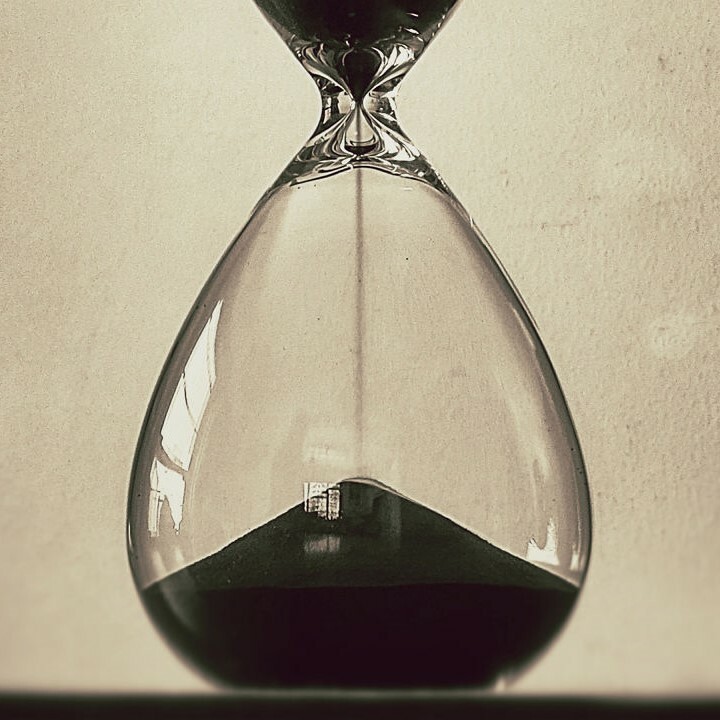 Patience is the antidote. Patience is the capacity to welcome difficulty when it comes, with a spirit of strength, endurance, forbearance, and dignity rather than fear, anxiety, and avoidance. None of us like to be oppressed or defeated, yet if we can endure oppression and defeat with strength, without whining, we are ennobled by it. Patience makes this possible. Our culture encourages thinking of patience as passive and unglamorous. Qualities such as love or compassion or insight are much more popular. But when tough times cause our love to fray into annoyance, our compassion to be overwhelmed by our fear, and our insight to evaporate, then patience begins to make sense. Without patience, all other qualities are shaky. The practice of patience is simple enough. When difficulty arises, notice the obvious and not so obvious ways we try to avoid it: the things we say and do, the subtle ways in which our very bodies recoil and clench when someone says or does something to us that we don't like. To practice patience is to simply notice these things and be fiercely present with them. Taking a breath helps. Returning to mindfulness of the body helps. 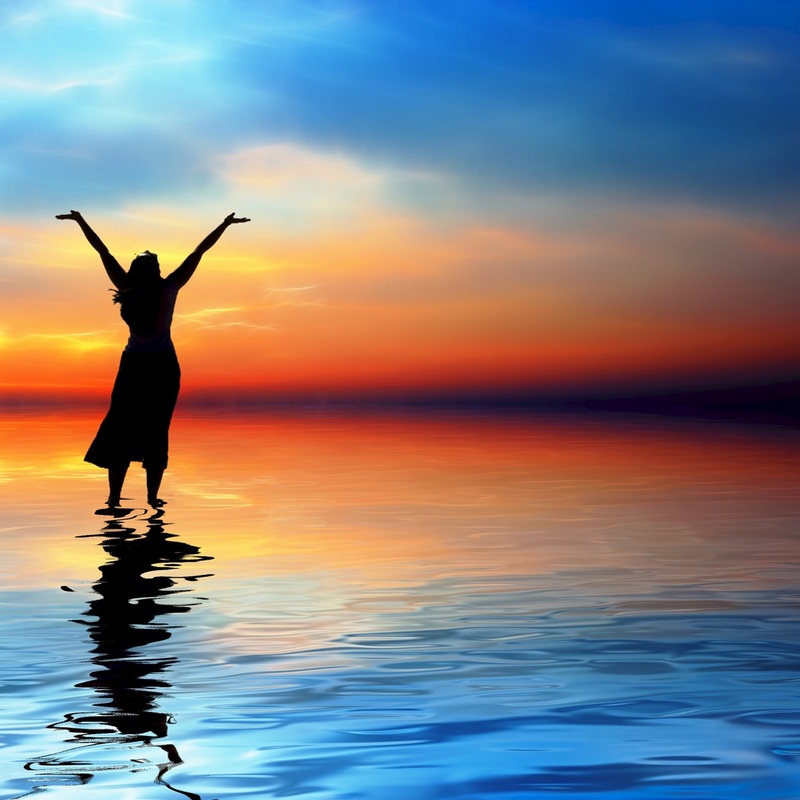 Be fiercely present rather than than flailing around in reactivity to things we don't like. Pay attention to body. Pay attention to mind. When possible, give ourselves good teachings about the virtue of being with, rather than trying to run away from, the anguish we are feeling in this moment. See also Practice of the Week: "Be Patient"
A wide range of Christmas-themed music is featured as part of Sunday morning’s worship service. The Prelude opens with a solo piano arrangement of the Catalonian Christmas carol “The Song of the Birds”, popularized by cellist Pau Casals. A charming waltz in honor of the holiday by Tchaikovsky is also included, as is a clutch of fun arrangements of popular Christmas tunes by Donald Waxman, a well-known composer of early-level methods for piano students. Franz Liszt, better known as a composer of virtuoso show-stoppers, is responsible for the delightful version of “O Come All Ye Faithful”, from a collection of Christmas pieces written for his granddaughter. Finally, our own Kim Force shares her talents in Xavier Montsalvatge’s sultry “Lullaby for a Little Black Baby”, taken from his cycle of songs on texts by Cuban poets, and in a pastoral excerpt from Handel’s Messiah. Read on for programming details. Step 1. Praise. Let “God” represent whatever most evokes a sense of reverence for you. Now try a practice of praising this God. Sing songs of praise every day. (See Hymns 20-37 in Singing the Living Tradition – or browse around on youtube for “praise songs). Or just spend some time every day whispering praises. It’s not that “God” has any need for your praise – but does the act of praising re-orient you in some way? Step 2. “Person”-alize It. Expand your imagination! Take some time each day to imagine that various inanimate things were person-like: they had feelings, beliefs, desires, intentions, moods. Imagine this of the sky, of your environs, of various appliances (“the microwave is particularly cheerful this morning, but what is the refrigerator angry about?”), etc. Intuit what they might be wanting. Try this for a week, and be ready to report on what the experience was like. Step 3. Reflect and Journal. Write responses to the poems and articles in the December issue of On the Journey (CLICK HERE). What do they say to you? What messages hit home? Which points need some expanding upon, and how would you expand upon them? Which parts do you disagree with, and why? Which parts just make no sense? Step 4. 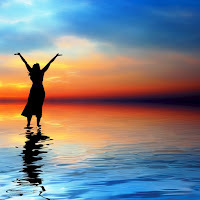 Return to praise -- which an expanded sense of the divinity you are praising! Whether he was writing for the Church, royal patrons, or musical amateurs, J. S. Bach frequently appended the initials S.D.G. to his manuscripts. “Soli Deo Gloria”—To the Glory of God Alone—summarized Bach’s conviction of the divine inspiration underlying all creative activity. And no other composer’s music better reflects the Infinite, in its simultaneous linear and harmonic unfolding. Accordingly, December’s theme of God is mirrored in the solo keyboard works of Bach programmed at Sunday morning’s worship service. The CUUC Choir is also on hand with a traditional African celebration of the divine and Alicia Ann Scott’s soulfully expressive “Think On Me”. Read on for programming details. heat it on the stove. Cook it over very low heat all day on stove or in the crock pot. Stir it, taste it, and adjust the seasonings regularly. When I make this recipe for tomato sauce, I'm not just getting a meal on the table. There is much more going on. To start with, I am paying close attention to all the sights, sounds, smells, and textures. I am smelling the sharp odor of garlic as I hold the cloves between my fingers and chop. I am listening to the sizzle of onions sauteing on the stove. I am watching bright red tomato puree pour from a metal can onto the sizzling spices and enjoying the contrast of color as I drop fresh green parsley on top. I am feeling myself present in the moment. Throughout the day as I go about my other work, my nostrils are filled with the warm, spicy aroma of a sauce made just the way I like it, and I am connecting with my mother, my father, my grandmothers, and all the cooks in my family going back to generations I've never met. Like most children, I learned to cook by helping my mother in the kitchen. The transformations of ingredients into finished product seemed magical. Some special recipes she made the way her mother had made them. With those recipes came her stories of watching her mother cook and sharing meals with her own family as she grew up. When I began cooking on my own, I had a great time chopping and stirring, mashing and frying, plunging my hands into bowls full of dough and squeezing it between my fingers. I never thought of it as spiritual, but I certainly enjoyed by cooking nights. When I went away to college and had an apartment to myself, I cooked up something simple each night. I never thought about why I did it -- I just liked to cook. Now I know why. Those were times of connection and creation. Alone in my apartment, I felt connected to my family by a tradition of cooking. After marriage and the arrival of children, my cooking had a new focus. Cooking connects me to the people I am cooking for. I focus on creating food that will nourish the bodies and souls of my family and any company we might have. Even when they aren't helping me cook, my family is connected to the process through invisible waves of fragrant steam emerging from the kitchen. When we sit down together in the evening and spook a fresh-cooked meal onto our plates, we all participate in that connection to our senses, our present moment, our selves. Sometimes I more-or-less follow a recipe, other times I invent something new. But whatever process I use emerges from my life. Recipes I choose to follow or invent are based on my past experience, on my dietary values at the time, on the ingredients available in my house or those I can afford at the store, on the way I feel, and the way I wish to connect with others around me. Recipes I choose to cook always come out of the depths of who I am and where I am in life at a particular moment. All that is in my participates in the act of cooking. But cooking is not merely an expression of myself. The process of creation shapes who I am in many ways. For example, cooking strengthens my awareness of my dependence on the earth. I like to start with basic ingredients and cook from scratch because it puts me in closer contact with the source of the food. I don't grind my flour myself, but it is easier to see the connection to wheat in a bag of whole grain flour than in a package of processed baking mix. When I use fresh herbs and vegetables from the store or from my garden, I feel the same connection. Cooking has also been a way to connect with the mysterious process of creation. 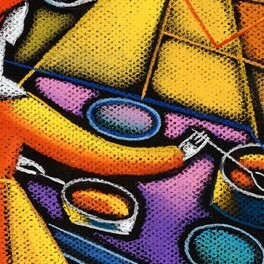 In cooking, one combines separate, individual ingredients and transforms them into something new. Each of the ingredients form making a muffin has a unique taste and texture that is nothing like a muffin. Combining those ingredients and baking them is as clear an illustration of transformation as one could hope for. A muffin is a new entity -- different from its ingredients separately and different from the unbaked batter of all the ingredients mixed. This happens in a more or less dramatic fashion in all cooking. I began to realize that cooking was my spiritual practice when my life got too busy to cook -- yet I did it anyway. I was a wife, mother of two, homeowner, dog owner -- and then I started graduate school. Week after week I kept telling myself, "This is crazy, I don't have time for all this cooking." But somehow I found myself making the time to cook and being happy that I had. Slowly, I realized why I couldn't give up cooking. Cooking was much more than a way to feed the physical bodies of my family and myself. It was much more than an enjoyable hobby. Cooking nourished my soul, too. Like all good spiritual experience, the time spent in practice enhances the rest of life rather than taking something valuable away. My pot of tomato sauce is a prayer that has developed and evolved over the years. At first, I followed Mom's recipe exactly, creating a smooth, mild, flavorful sauce. Later, my father showed me a way to make spaghetti sauce that drew on his Italian heritage: it was a spicy, chunky, and potent sauce. In college, I began to cook a sauce that combined my mother's and father's recipes. I stopped measuring ingredients and just added them and tasted regularly. When my husband and I stopped eating red meat, I came up with a recipe for ground turkey meatballs. When we stopped eating meat altogether, I devised a vegetarian meatball. When my son was refusing to eat any vegetables, I added grated carrot to the sauce. I'm sure the sauce, like all my cooking will continue to evolve with the ever-changing inner and outer lives of myself and the members of my family. When I cook I am part of the interconnecting past, present, and future of humanity. I have opened a window to my own inner soul and to the world around me. I am completely involved in the activities of life and paying close attention to all that surrounds me. By being fully present in the moment, I experience a peace, a connection, and a rootedness. Through this awareness I am connected with the ultimate forces of the universe within and without. That is my definition of spirituality. When the activities of one's life become spiritual practice in these ways, the activities of life itself become a prayer. 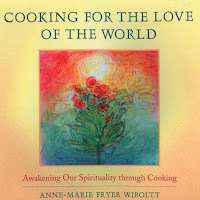 See also: Anne-Marie Fryer Wiboltt, Cooking for the Love of the World: Awakening Our Spirituality through Cooking. 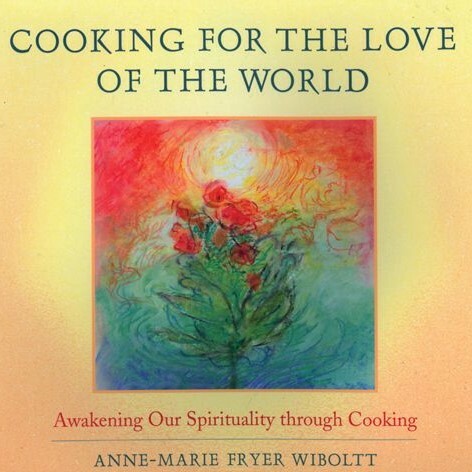 "An internationally acclaimed biodynamic farmer, natural health counselor, and nutritional cooking teacher infuses cooking and eating with deeply reverent and spiritual consciousness. Food is placed within an understanding of the earthly and cosmic forces of plant life and exquisite recipes transform nature into the art of cooking."